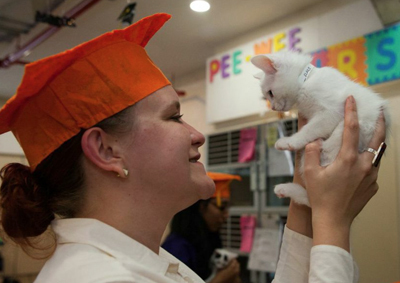 The kitten nursery is the very first high-volume facility located in New York City that’s dedicated to care of this vulnerable (and cute) population. It began in the summer of 2014. 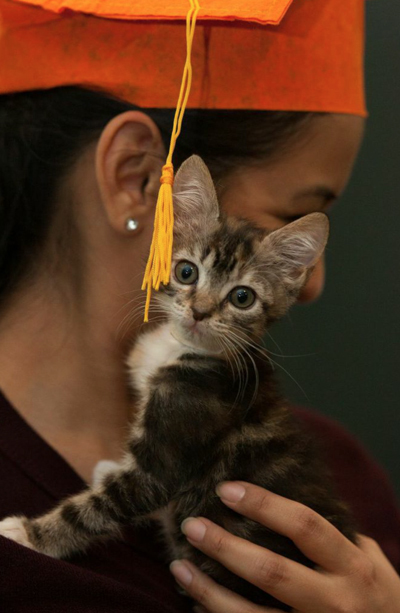 The ‘Kittergarten’ Graduation ceremony celebrated this last group of sweet little felines that will now join nearly 300 other kittens that graduated from the program during its first year of operation! Let’s give the ASPCA a big round of applause for giving extensive, ’round the clock care to these vulnerable neonates!